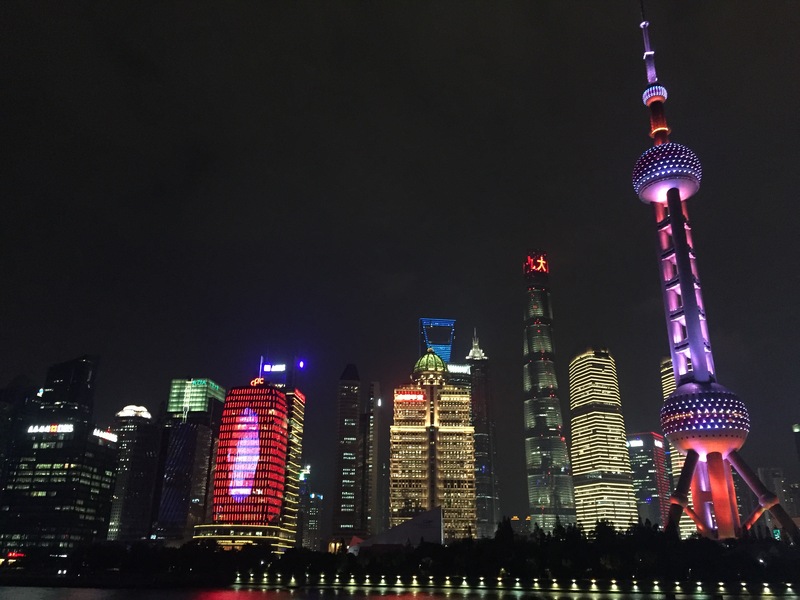 In July I was lucky enough to be accepted to attend the Atelier for Young Festival and Cultural Managers in Shanghai with my place being supported by The National Lottery through Creative Scotland Open Fund. The Atelier is organised by the Festival Academy, which is part of the European Festivals Association network. The aim is of skill development and dialogue between EU arts managers and their Chinese counterparts. 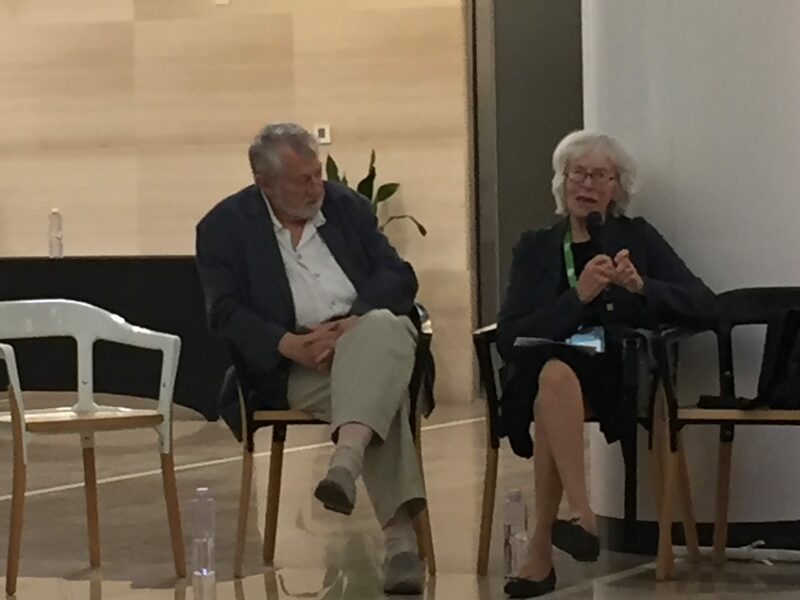 The whole thing felt like it had a very political context being created in the EU-China Hugh Level People to People Dialogue through the Cultural Diplomacy Platform but whatever EU-China politics was going on behind the scenes it didn’t seem to impact the day to day working. I applied for a duel purpose – to develop my ideas around running and programming The Night With… and build personal connections both for The Night With… and for myself as a composer. 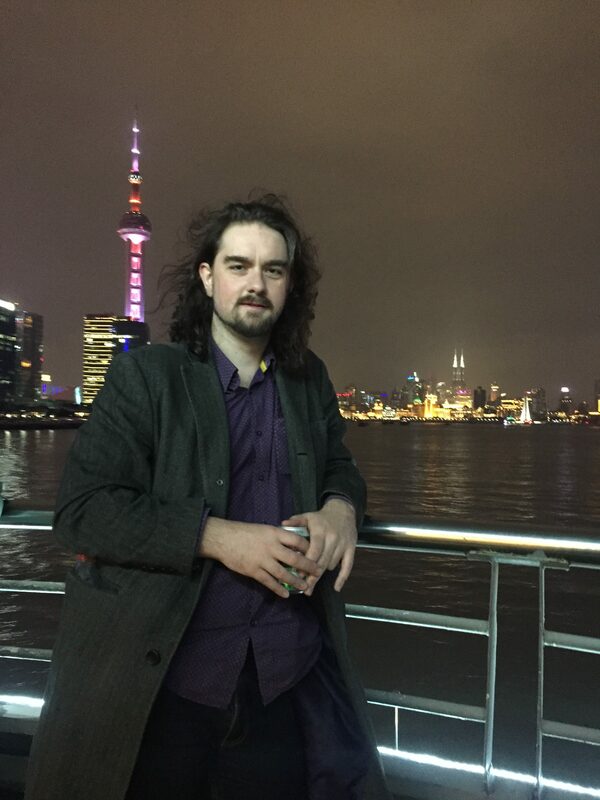 I was also very interested to visit China and try and learn a bit more about the country so I booked a few days after the Atelier to explore Shanghai a little more. The seven days of the Atelier were completely full on, too full on. Events were programmed pretty much 9am to 9pm every day. The intention was to have as much contact time with the participants as possible to get more conversations going. This did happen but gradually through the week people dropped out for a morning or a day because they just needed a break or to recover from jetlag, tiredness, illness, culture shock or a mix of all four. Cultural and linguistic barriers were one of the biggest issues to overcome with everyone. There were 44 participants roughly divided 22 from China and 22 from Europe. English was the common langauge but the meaning of various words took a while to fully form. Terms like ‘independent artist’ and ‘art’ needed to be defined and understood to develop the discussion further. To me the term independent artist would describe someone like me, making work, putting on concerts and occasionally getting support from funding organisations. However, in China it means someone who is freelance, not a salaried artist (for example one of the actors in a theatre troupe with a permanent job for life) and doesn’t get any state support, ever. Once this was understood a conversation could develop but it took 3 days before this was clear. Equally gradually through the week the word ‘art’ seemed more weighted toward ‘entertainment’ than ‘art’. By this I mean something like Warhorse was called ‘art’ but I would call it more ‘entertainment’. Warhorse is part of the Arts and it is Art but not in the same way as experimental theatre or new music. This was not universily true but it was true enough to cause moments that were lost in translation. This differentiation had never dawned on me as being necessary in any dialogues I’ve had but it was crucial in understanding conversations and a sharp learning point for any international work I want to undertake. Now that I’ve had that realisation I think it probably is very useful to think of where on a scale of Art —— to —– Entertainment any project, festival or work sits especially from a marketing point of view. This was summed by nicely by Robyn Archer ‘if all you do is give audiences what they want then you are entertainment’. Funding was another very interesting discussion point for everyone. Surprisingly there wasn’t really a common reference point for anyone here. It seems every country has some similar funding agencies but the structure seems very different even within Europe with various mixes of public bodies (like Creative Scotland), trusts and some cooperate sponsorship. The Chinese model is either state funded, commercial sponsorship or self-funded. There are no trusts. There was one participant from China who said his theatre is run as a real estate company not as an arts company. A bank leant them the equivalent of £4 million over 5 years to set up the 80 seater theatre. This seems insane as to cover the interest alone at 2% they would need to sell out one show every day with a £2.70 profit per ticket. This seems a completely unsustainable as a model for an arts venue unless you look at it from the view of reselling the property in 5 or 10 years. Then it becomes sensible especially considering the increase in value of property in Shanghai. Could this be a model to open more venues in the UK? Instead of presenting a business model based around selling tickets, base it around reselling the venue in 10 years after the property price as gone up. It seems like it could tie into the pop-up aesthetic that as developed over the last 10 years but you would need to develop a strong brand independent of the venue to be able to move every 5 years. It also might explain how so many venues are opening up in China at the moment. The scale of China is quite hard to comprehend. 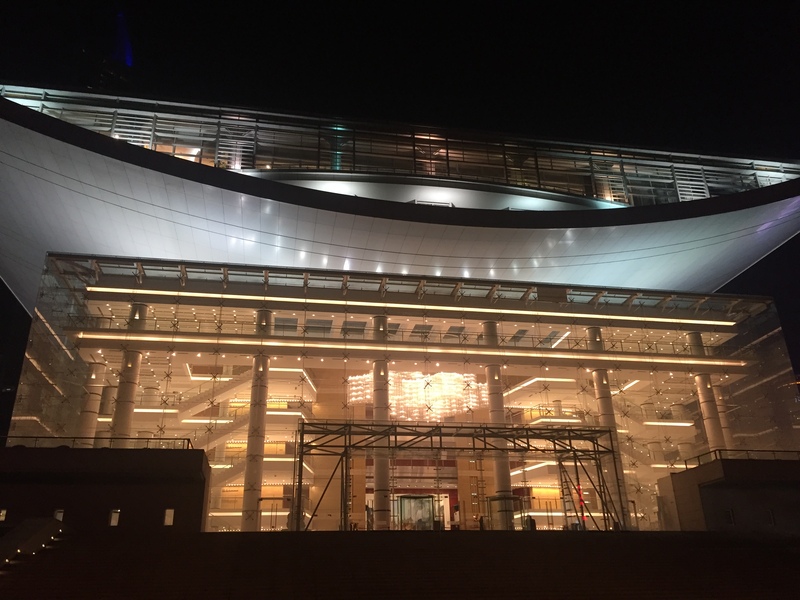 Catharine Wang said that in 2016 Shanghai International Arts Festival reached ‘only 4 million people with 200,000 tickets sold’. Considering the population is Shanghai is about 24 million reaching 16% of them or 1% of the city’s population buying a ticket I think would be good for any UK organisation but she is disappointed by these figures an wants them to grow. By comparison attendees at the BBC Proms are around 300,000 a year and Edinburgh International Festival 450,000. I believe these figures include free events not just ticketed. 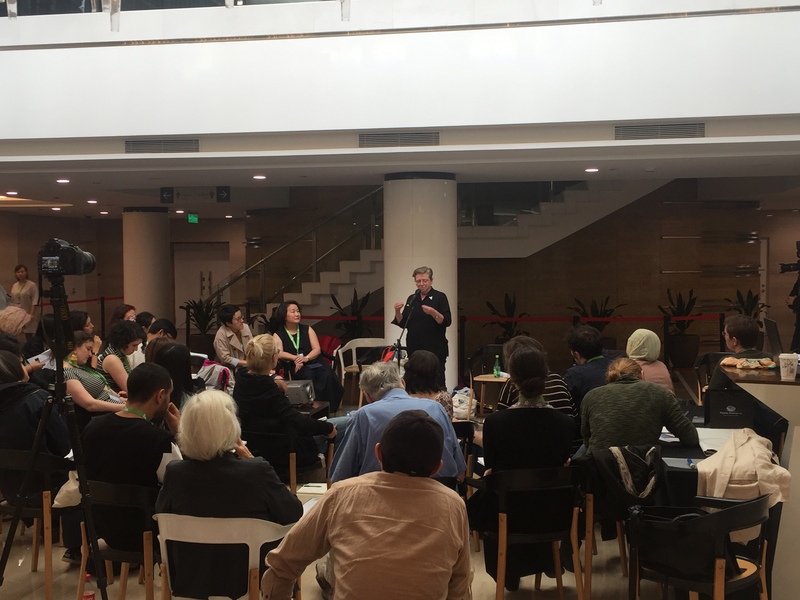 One very interesting session was run as part of a separate conference at the Shanghai International Arts Festival. This was a session where Chinese arts companies were pitching performances to international delegates. Each was given 10 mins including a 2min video, 4 min presentation and 4 min Q&A. It was very interesting to see how large touring shows are sold with so little information and that the people who are potentially interested buying them fail to read the information in the info pack and ask needless questions already answered. As part of the SIAF there was a trade fair area. Though not part of the Atelier activities, I took the opportunity to talk to various international venues and ensembles hosting a stand. What was very interesting about this trade fair was the fact that there were very few opportunities to listen to music or watch videos, it was all leaflets. This brings up an interesting question, how do you get interest in durational arts with static media? Music Streaming – China has gone from a country where music is listened to live to one where music is streamed within about 10 years. This has meant there has been no label, marketing or distribution infrastructure developed to ‘break’ Chinese artists. This has meant a reliance on tried and tested (mostly western) music. Marketing – concerts are marketed on names rather than programmes. 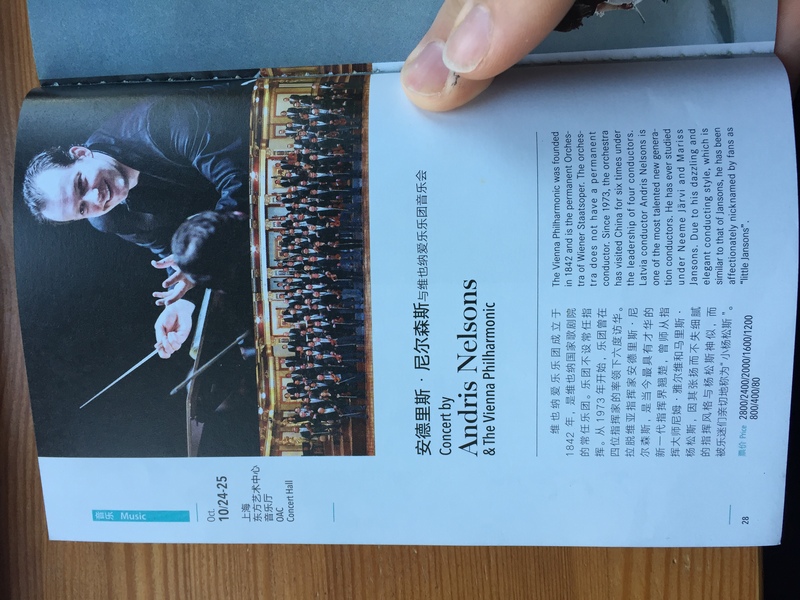 In the Shanghai International Arts Festival brochure, and in other venues I looked at, it was filled with gushing bios of conductors and ensembles but hard or impossible find what was in the programme. The bios are true in the UK but from my experience there is always a concert programme. Who isn’t here is as important a question to ask as who is. 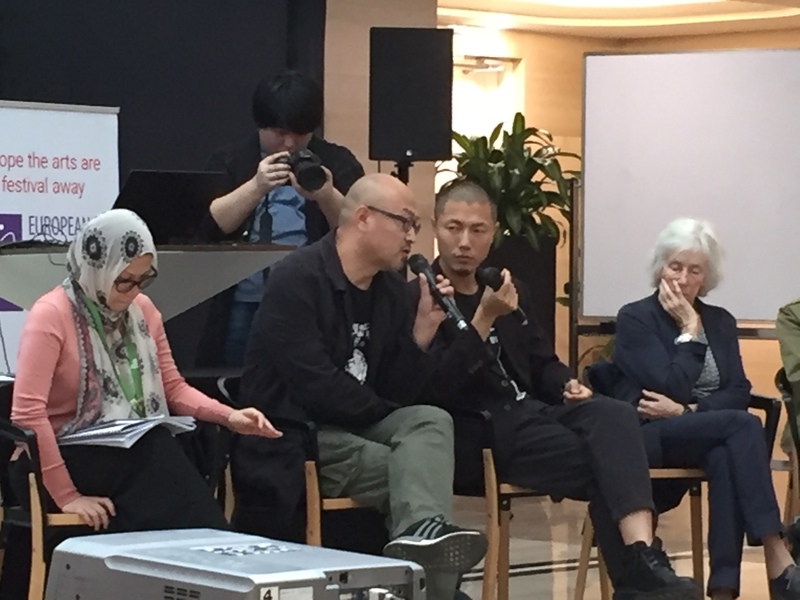 Risk – Arts organisations in China seem to want to eliminate risk (not true for independent orgs) whereas Western organisations want to reduce it. 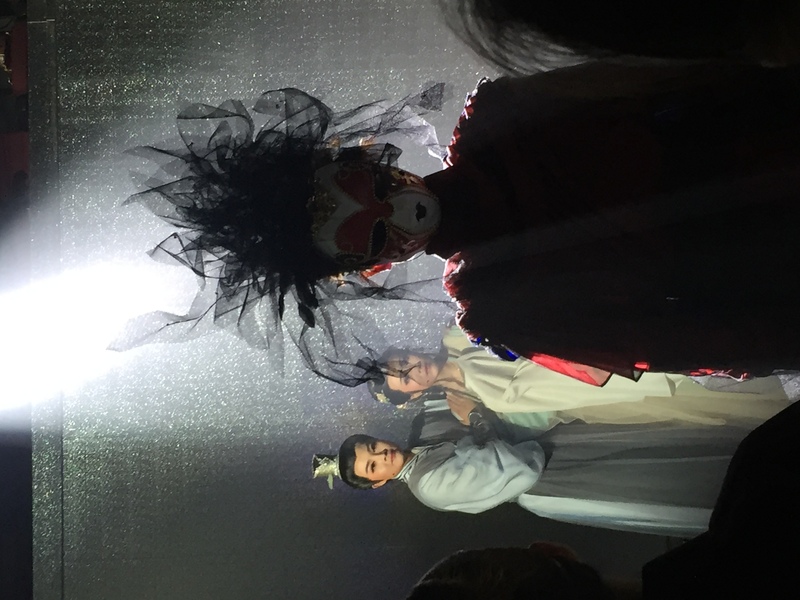 This means that Western organisations find ways to balance artistically interesting work with work that will bring in audiences, Chinese orgs just want programmes to bring in audiences. Robyn Archer talked said that people take more risk during festivals than they would normally.  Themes – One thing I have been struggling with when programming The Night With… are themes, how to use them and if I even should. Bernard Faivre D’Arcier (President Lyon Biennial, Former longstanding Director Avignon Festival) gave me some insight into how he programmes with regards to themes. The take away from my conversation with him was that themes are useful for marketing but shouldn’t be the main aim of festival programming. It has been a hugely beneficial experience to attend. I have made many international connections all with the potential for collaborations. Something else that I’ve become more interested in through the Atelier is the use of Culture as a soft power. Is it possible to be apolitical in the arts if you are receiving support from the state? Even if that support is coming from an arms length organisation. That might be a topic for another blog.